NASA Earth Observatory image by Jesse Allen and Robert Simmon, using EO-1 ALI data from the NASA EO-1 team. Caption by Robert Simmon. 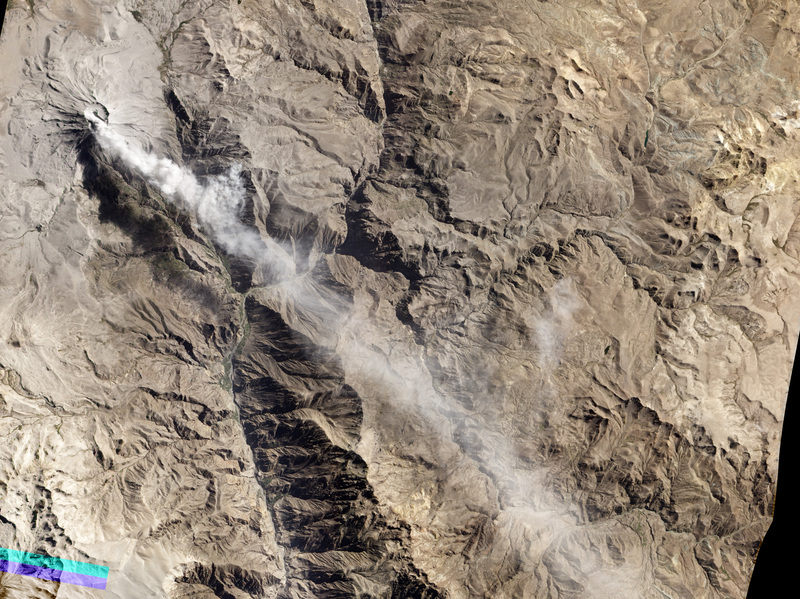 A pale ash plume extended southeastward from Peru’s Ubinas Volcano on May 15, 2014. The natural-color image was acquired by the Advanced Land Imager (ALI) on the Earth Observing-1 (EO-1) satellite.